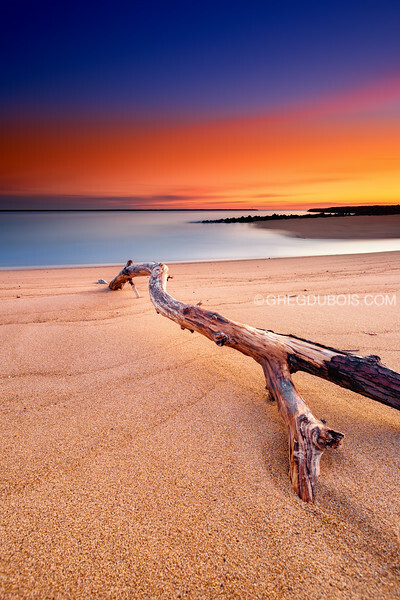 This piece of driftwood was just incredible, and I got really lucky with undisturbed beach sand. Used a fun filter to enhance the color at the horizon and it also helped me correct for a greenish haze that was souring the yellows. This was a 4 minute exposure with the following filters.